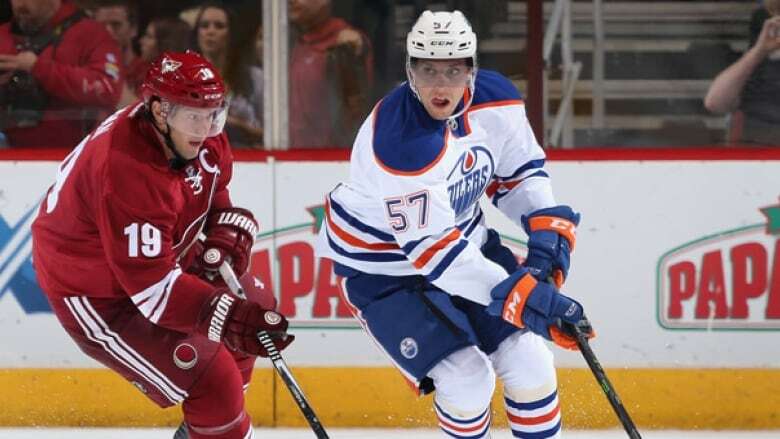 The Edmonton Oilers announced on Friday that left-winger David Perron had been traded to the Pittsburgh Penguins for centre Rob Klinkhammer and a 2015 first-round pick. Perron, acquired by the Oilers from the St. Louis Blues in July 2013, got his ticket out of Edmonton less than two seasons into his tenure with the team. As the losses continued to pile up for the Oilers in November and December, Perron was not shy in voicing his frustrations. Dallas Eakins was the first to take the fall for Edmonton's abysmal record, but once it became clear that roster moves would also be made, Perron was an obvious candidate to be dealt. Oilers' management is still in the process of building for the future and Perron is a veteran looking to win now. In 38 games this season, Perron has 5 goals and 14 assists. The deal sends him from a team jockeying for postion in the draft lottery to one that is currently leading the Metropolitan Division and considered as a Stanley Cup contender. Here is just some of the reaction to the trade. Others were more receptive to what Edmonton received in return. While from a Penguins' perspective, there was surprise over the price that was paid to acquire some help up front. Getting back from DC and see the trade for Perron. Pens give up a 1st? For David Perron ? Just making sure I didn't hear that wrong. But overall, there seemed to be general agreement that Perron benefited the most from the trade.